People will stare. Make it worth their while. 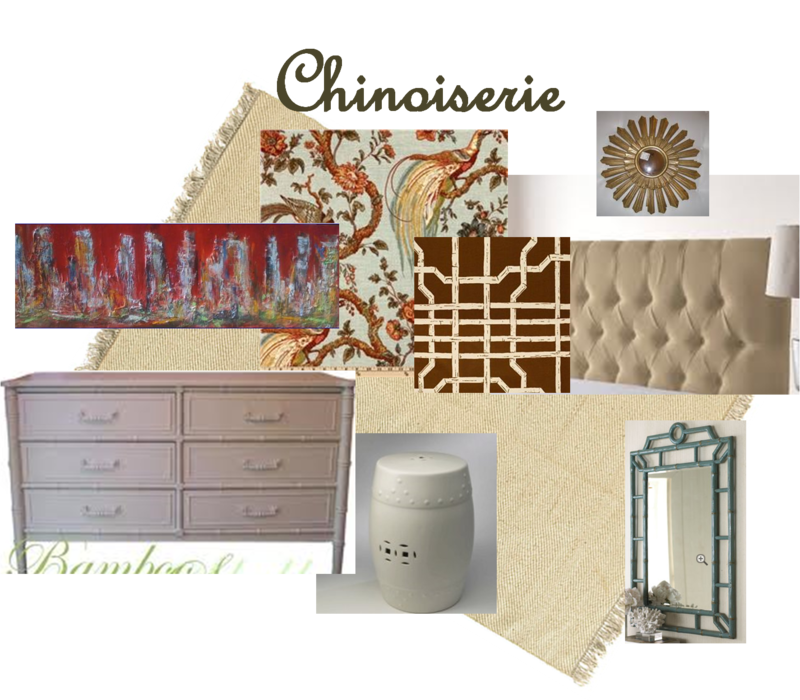 Bedroom Choices: Chinoiserie or Cottage? Help Me Decide! So my Waverly Olana drapes have officially been hung and now the decisions start rolling in! Once hung, I began to realize that drapes are definitely going to be game changers in our bedroom. And after staring at the pattern for what seems like hours (I’m a little obsessed), I’ve decided the room can go one of two ways: Chinoiserie inspired by my new favorite blog Chinoiserie Chic or Cottage style (which is kind of my safe place). 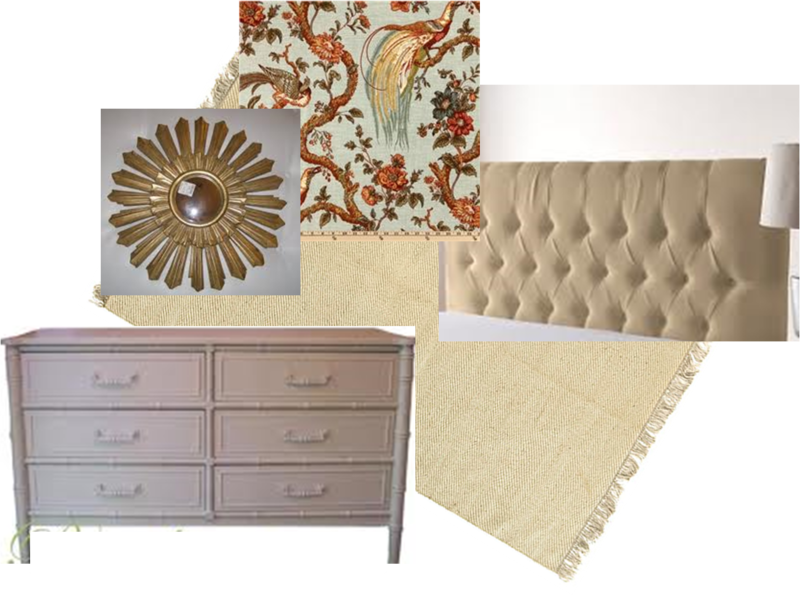 Tufted headboard, sunburst mirror over vintage bamboo dresser, and a jute rug, a few lamps, etc etc… I don’t hate it by any means, but compared to my dramatic drapes, it’s a little…well, bland. 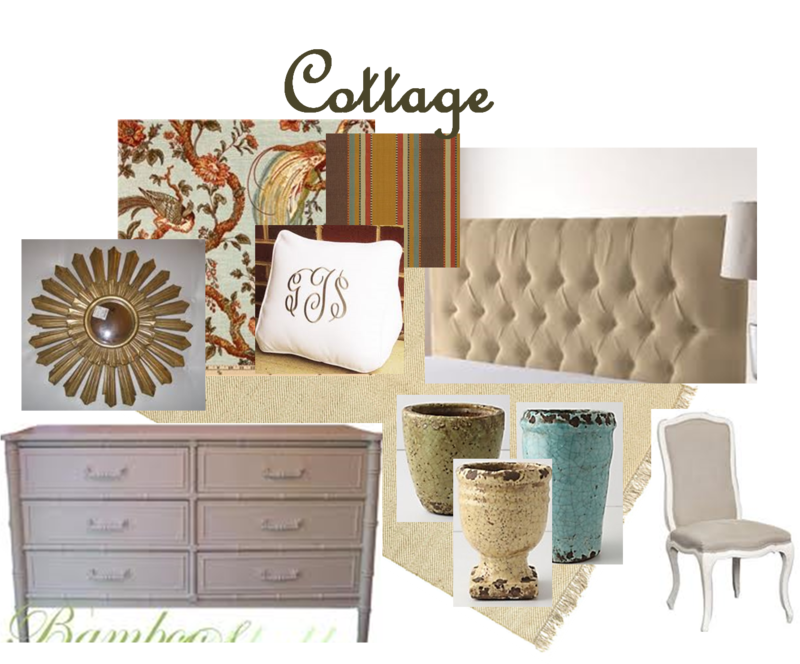 Add in a traditional striped fabric for possibly a bedskirt and some throw pillows, some monograms (of course), a few chippy pots/vases from Anthropologie, and a random antique chair that I’m sure I can find a Urban Suburban. My first instinct play it safe with cottage style, but part of me wants to do something a little more bold and dramatic. That’s where you come in faithful readers…I need you comments, questions, and suggestions! Help me decide and leave a comment below!